“This project encourages viewers to watch and engage with animation physically. 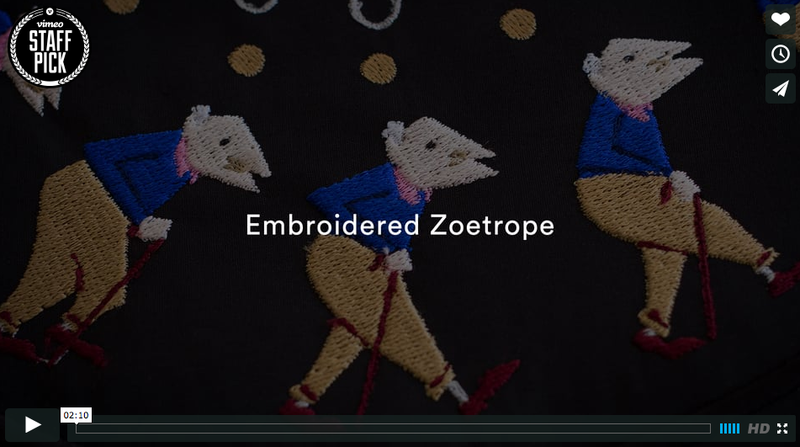 Discs were created with animated sequences embroidered onto their surface. They have been designed to be played on standard turntables and their shape and size is inherited from 10” vinyl records. The animation is activated when a strobe light illuminates the discs in sync with the embroidered frames of animation.